The secret and mysterious depths of the waters we swim, fish, and play in are now being revealed for what they truly are—awesome, wondrous marvels of nature waiting to be explored in a new way. 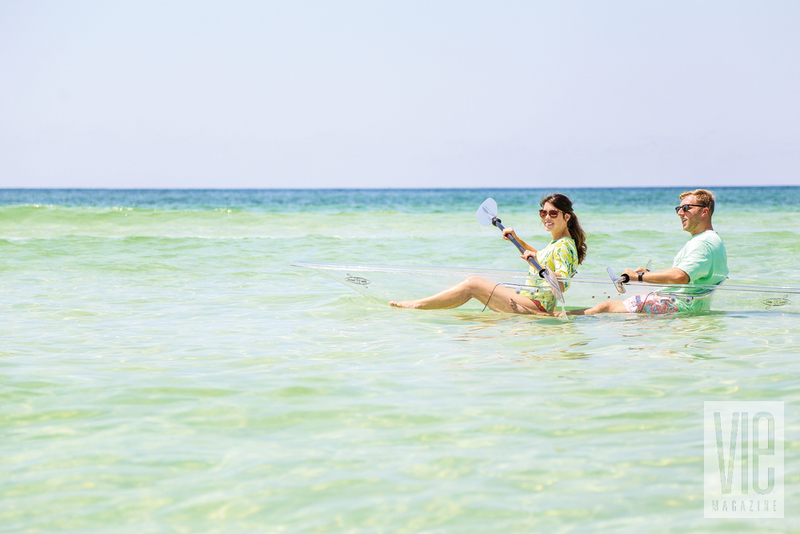 Klear Kanoo of Miramar Beach, Florida, has revolutionized how we experience aquatic fun, and there’s a Klear Kanoo waiting for you! Klear Kanoo presents a creative solution to reinvigorate the outdoor enthusiast in all of us. 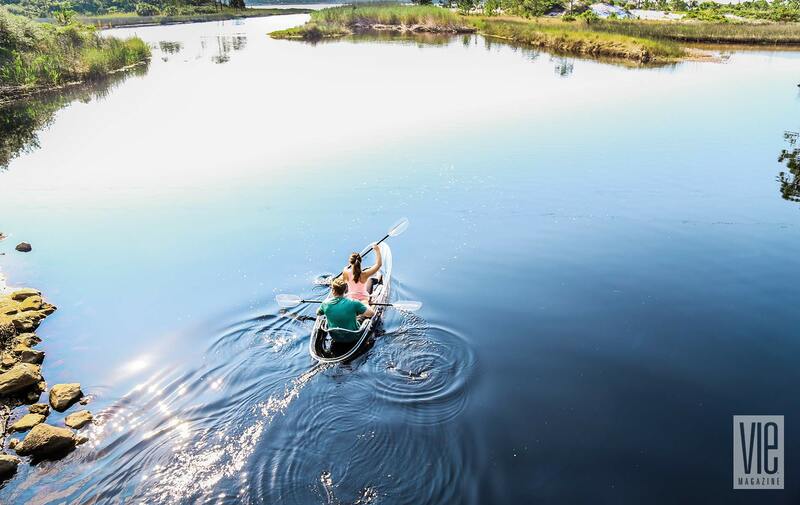 The genius idea to make canoes clear allows riders to experience aquatic life below in a new light. What may seem like an obvious idea stands above the crowd in water sports. 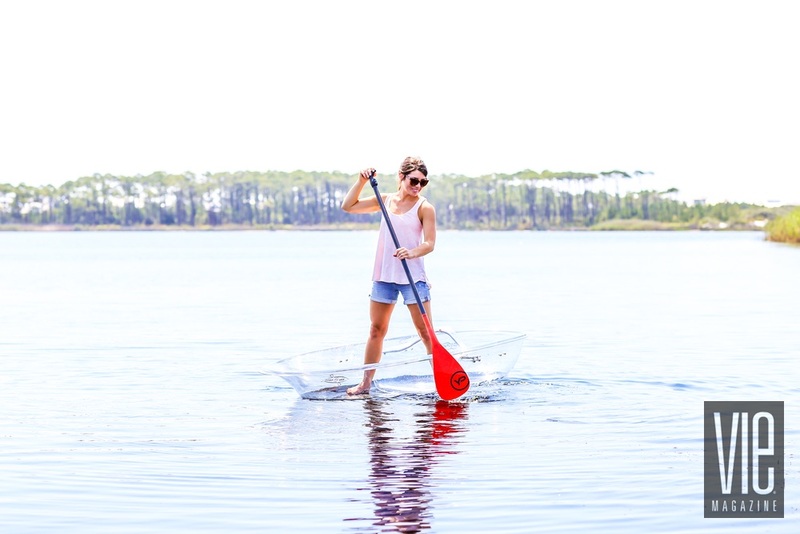 The versatile Kanoo accommodates one or two people and can also be used as a stand-up paddleboard or equipped for fishing. The company recently unveiled its new model design, which includes newly formed ergonomic seats with high back supports and armrests that provide added comfort to users. The first Klear Kanoo model was supported by a metal frame, which has been eliminated, offering even more clarity and unobstructed views. “There is nothing to hinder the view now that the metal frame is gone,” says company owner and founder Silvia Madriaga. Aladdin may have had his magic carpet, but the charm of Klear Kanoo’s invisibility opens up “a whole new world” of life below. 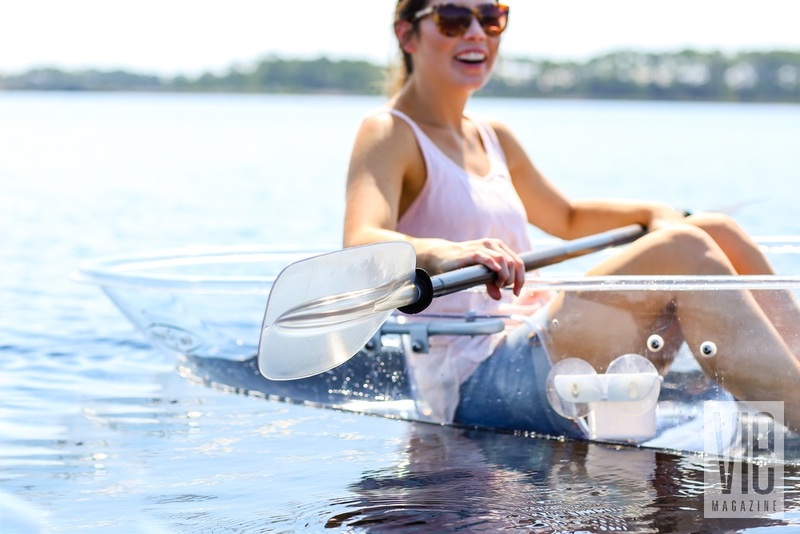 Weighing in at an incredibly light thirty-nine pounds, the Klear Kanoo is easy to transport and made of a high-tech polycarbonate. This incredibly durable high-impact polymer is also used in the production of bulletproof glass and fighter jet canopies, and the practically indestructible material can go from extremely low to high temperatures without any worries. 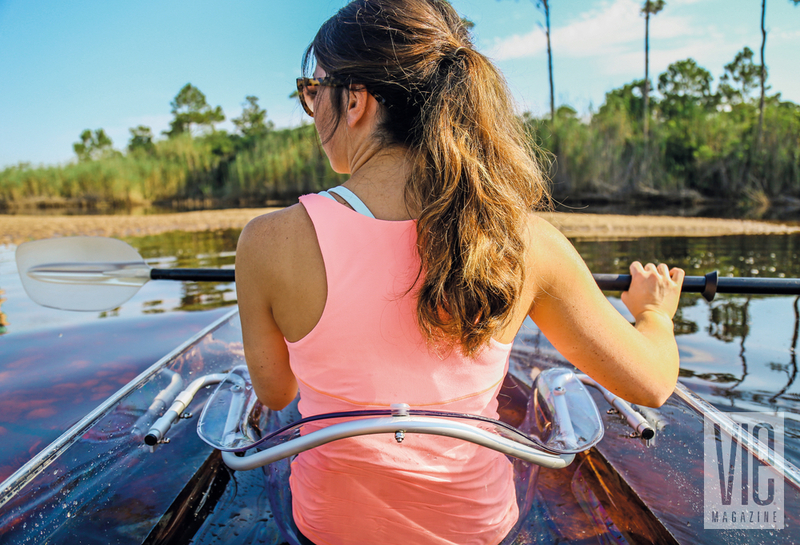 The material won’t yellow and does not heat up in the sun like other plastics can, making for a comfortable ride for paddlers in any climate. “The popularity of the boats is growing quickly,” Madriaga says. 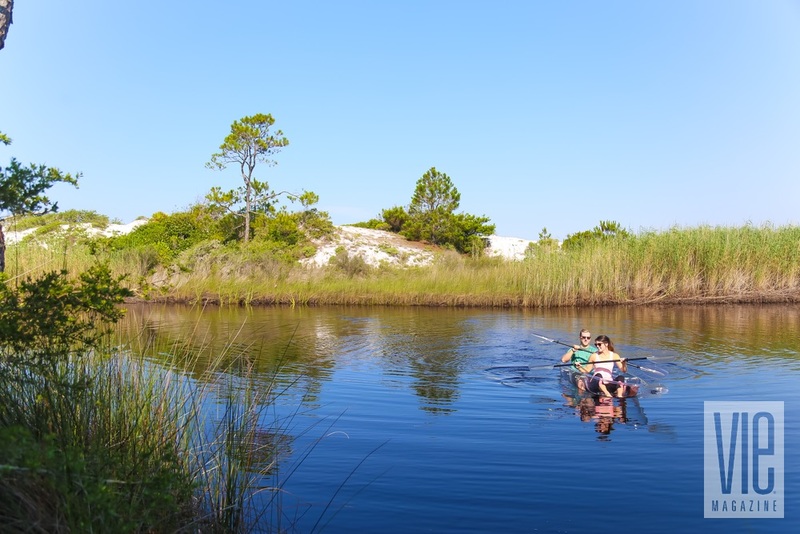 “I’ve seen the Kanoos locally in Northwest Florida at Crab Island and all over the area in rivers, in springs, in the bay, and at the beach.” It’s easy to envision the success of such an idea in and around coastal towns, but Klear Kanoo has expanded and is now selling across the country. Kanoos have been shipped all over—from South Florida to California—to excited clients who are ready to discover a new view of their favorite aquatic locations. 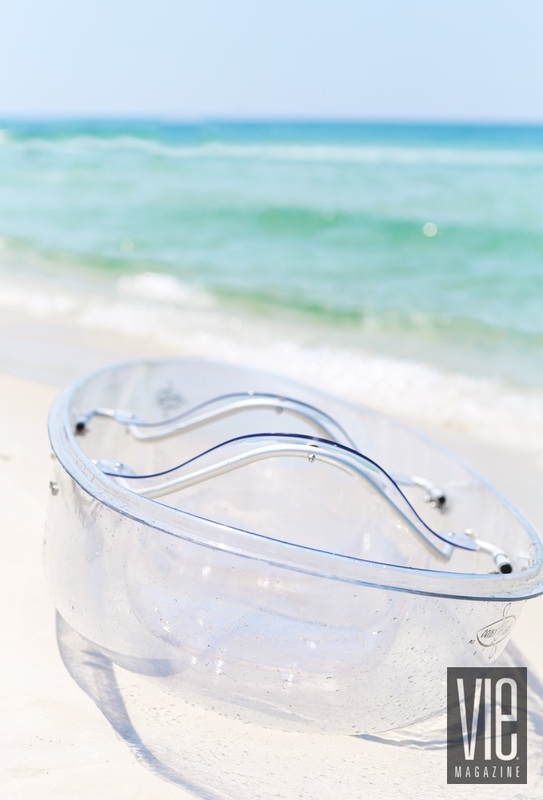 Klear Kanoos can be shipped to anywhere in the United States, but Madriaga delivers locally for free from the warehouse located in Miramar Beach. 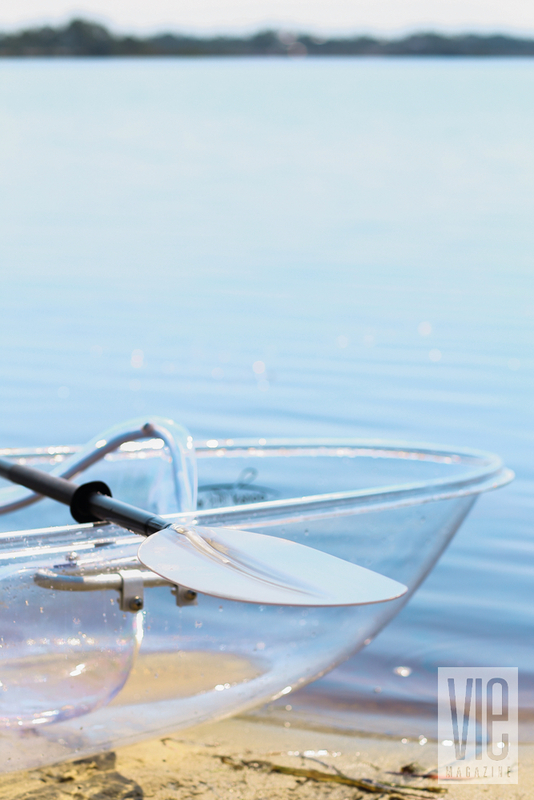 “We deliver in the Klear Kanoo Mobile, with a big bow on the boat,” she says. 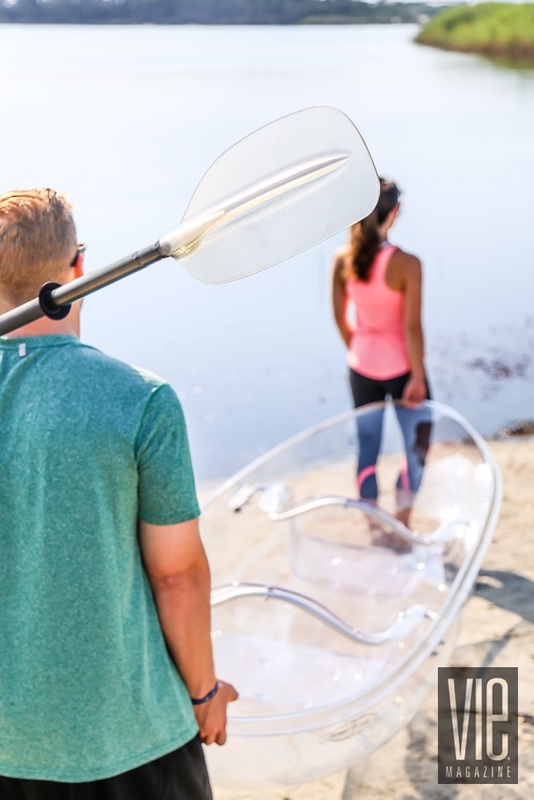 “It’s a great gift the whole family can enjoy.” Each boat purchase comes with suction cup drink holders and Klear Kanoo T-shirts and hats as exclusive bonus gifts for owners. 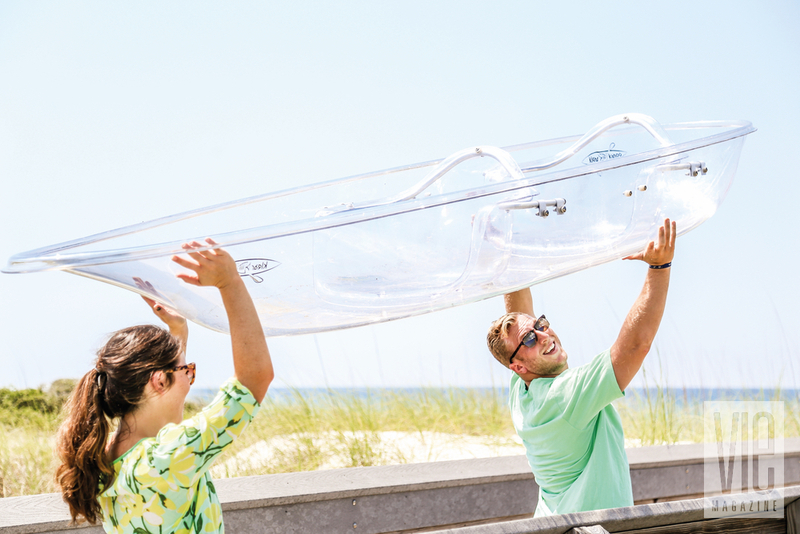 Many owners of beach rental homes or condos are buying Klear Kanoos and offering them as amenities for their guests. 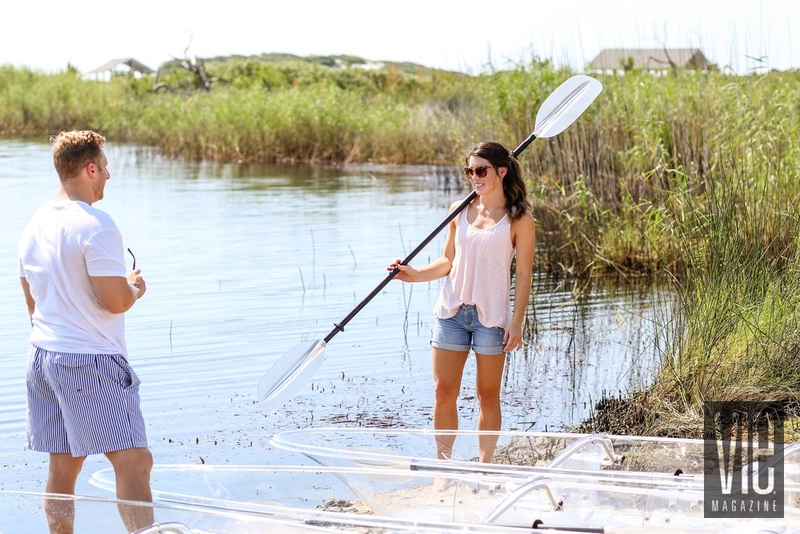 Beach rental companies are also beginning to offer rentals of the boats. 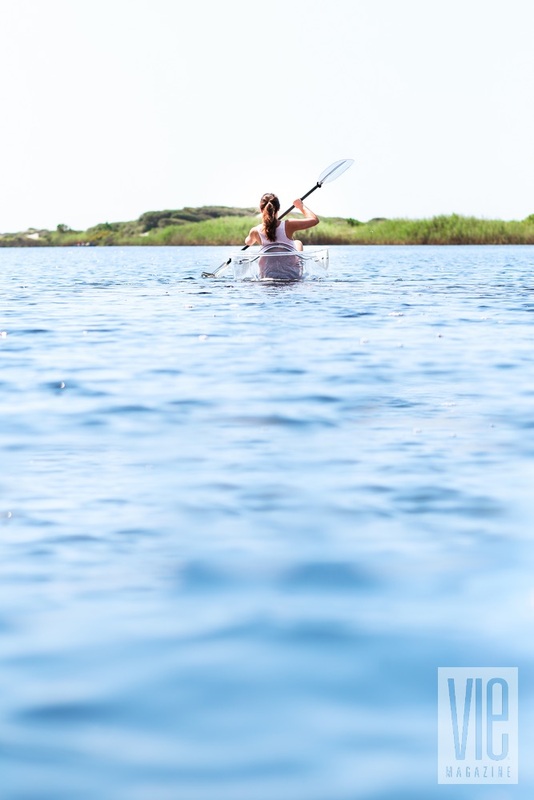 It’s amazing to experience the water under and around you. 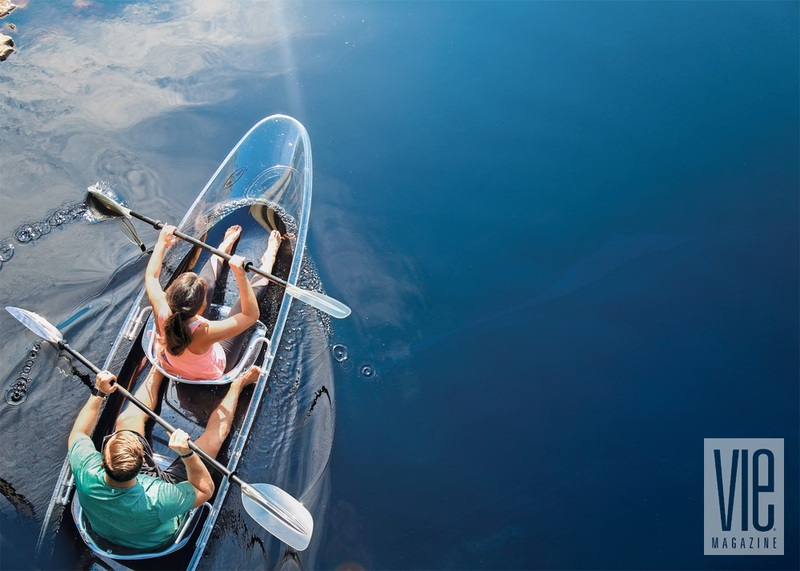 This isn’t a glass-bottom boat; the entire boat is clear! For Madriaga, the excitement lies just as much on land as at sea. “I love my job, seeing people so happy and having fun,” she says. 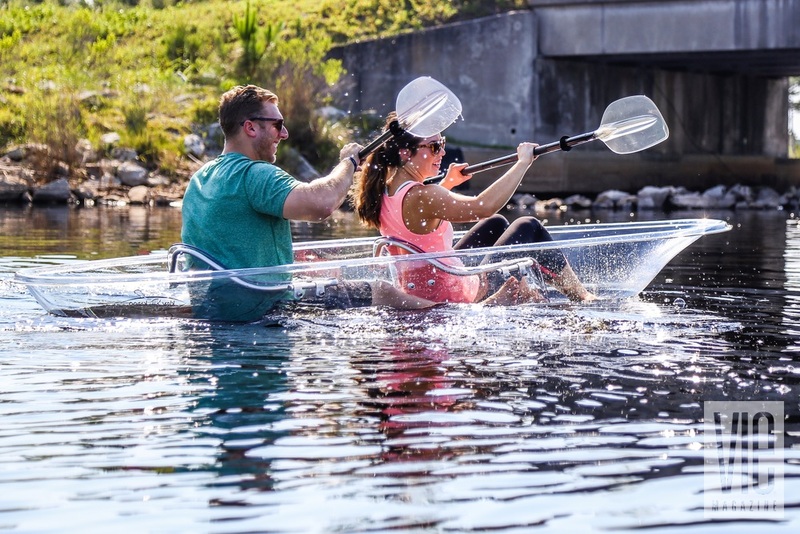 “It’s great watching how excited people are when the Klear Kanoo Mobile drives up and we take the boats out on the water.” Introducing clients to the product and answering questions about the boats are added bonuses for both Madriaga and the customers when they get local delivery. “We are a business, but we also provide a service and love to make people happy. We’ve become friends with all of our clients and love to get pictures, videos, and comments on how much people love their boats!” Madriaga posts them on the company Facebook page and website. Klearly, the possibilities are endless! To learn more or to purchase your own Klear Kanoo, call (850) 598-0454 or visit www.KlearKanoo.com.